Historic New England’s school and youth programs staff participated in the eighth annual AIA-MOS Archaeology Fair held to celebrate Massachusetts Archaeology Month and International Archaeology Day. Students from all over Massachusetts took part in interactive games and activities. 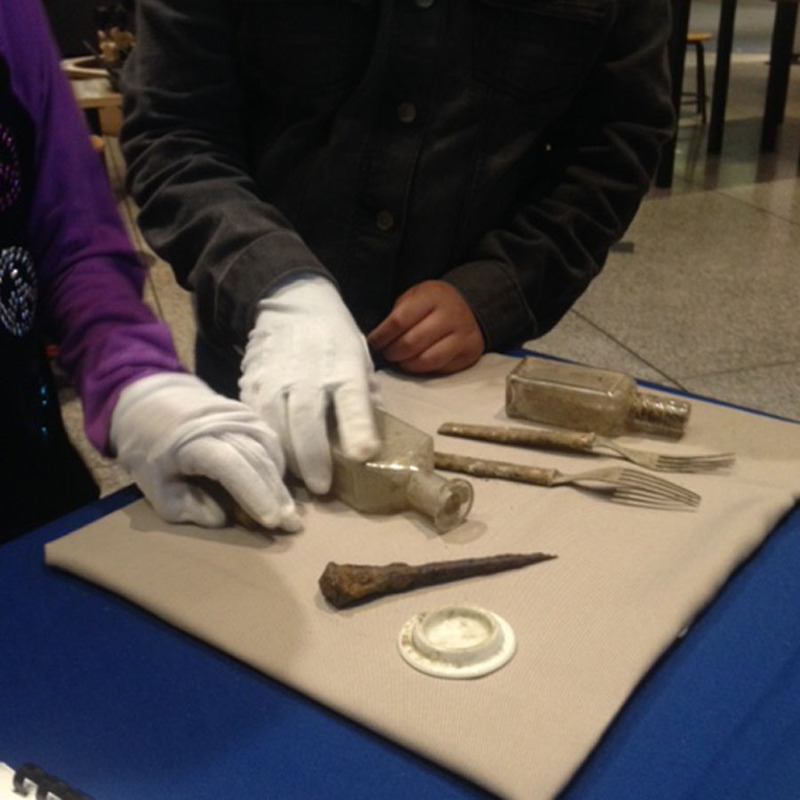 At Historic New England’s booth, budding archaeologists had a chance to explore artifacts from the mock pit located at Spencer-Peirce-Little Farm in Newbury, process shards, and learn about daily life at the farm over the last three hundred years. Learn more about a recent archaeology project at Spencer-Peirce-Little Farm.